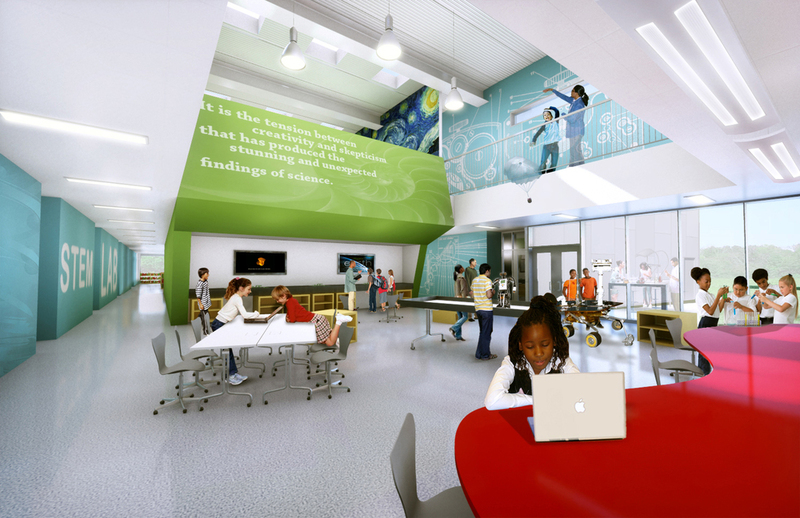 Booker T. Washington STEM Academy is a K-5 school in a northeastern neighborhood of Champaign, Illinois. 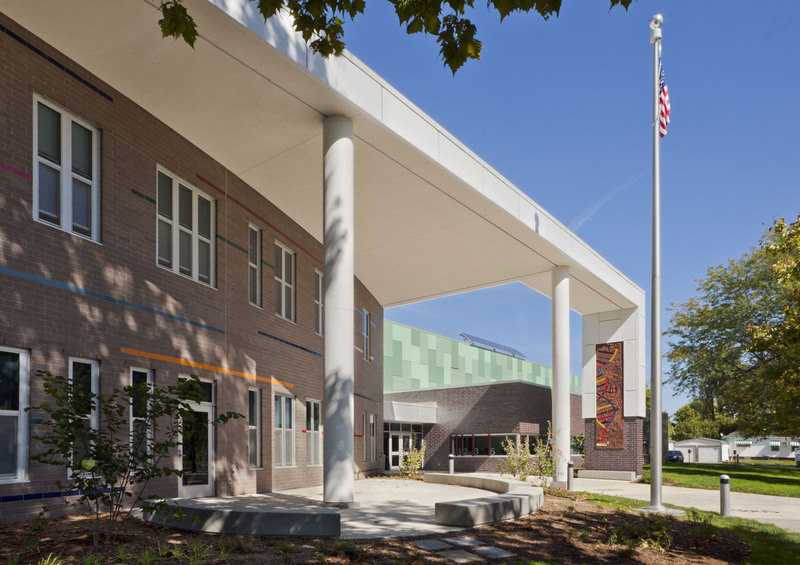 The 425-student school accommodates an underserved African American neighborhood and was the response to a desegregation order. 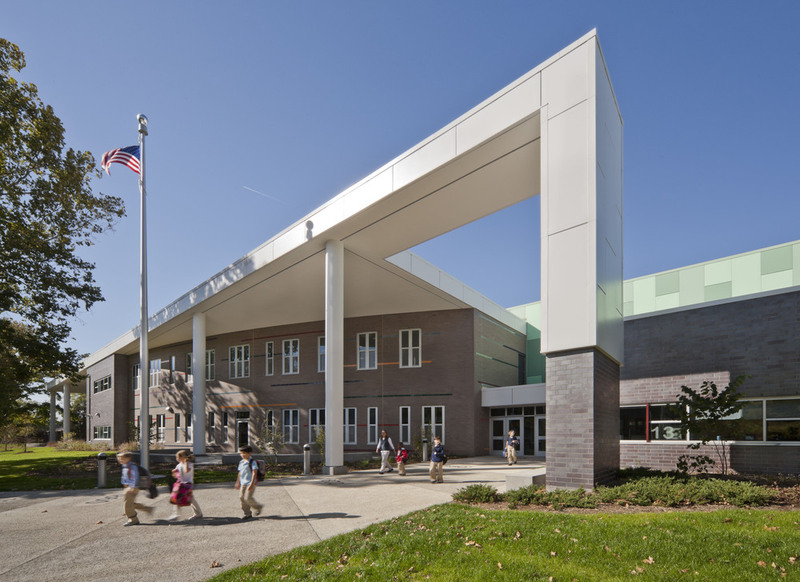 The new Science, Technology, Engineering and Mathematics (STEM) Academy replaced the existing building and expanded to a 60,300 sf, 3-strand magnet school serving 425 students. The design process was heavily community-focused. 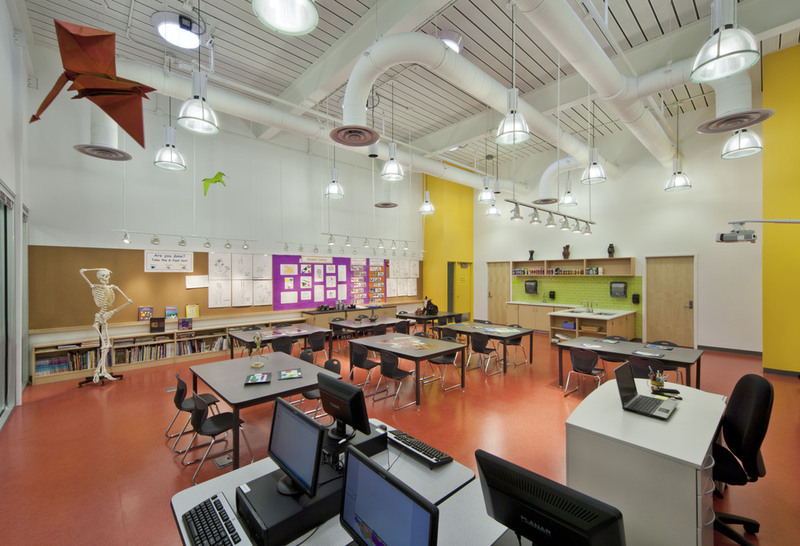 Workshops were held for end-users and the community to inform the design. 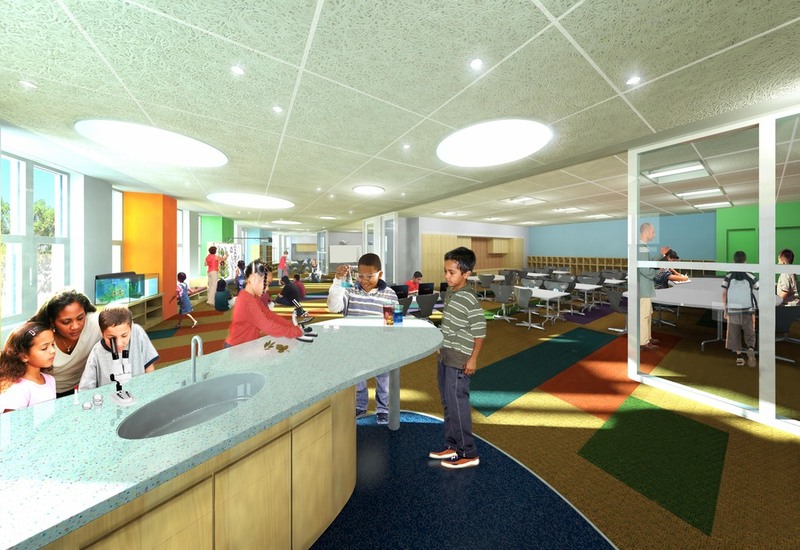 The architectural concept strengthens the school’s academic communities and creates a STEM-centric, project-based learning environment incorporating learning tools such as text and graphics throughout the building. Each academy is inwardly focused forming a cluster of three learning studios that open onto a communal gathering and project workspace, serving as a piazza for discussion and collaboration. 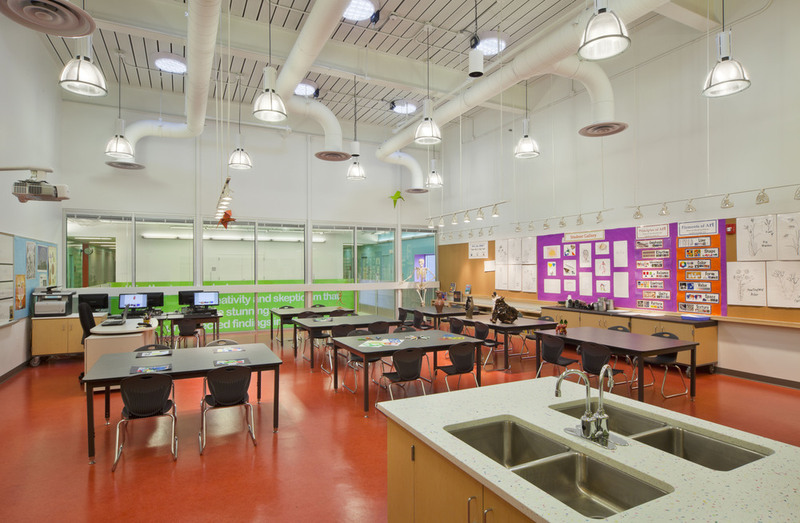 The STEM lab has immediate access to one of the outdoor learning areas which were designed to integrate the school’s science curriculum to foster a sense of environmental stewardship in the students. 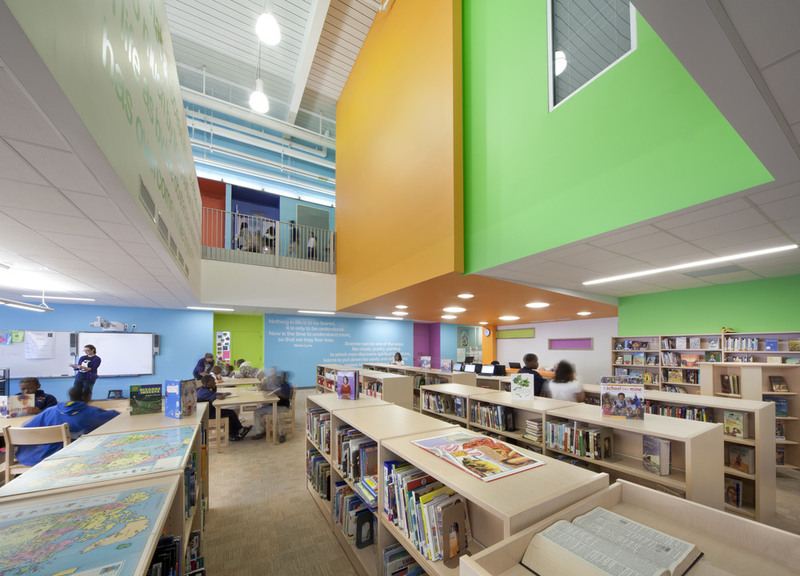 We are proud to share that the Booker T. Washington STEM Academy has taken home a CEFPI MacConnell Award for outstanding planning, community involvement, and educational programming. 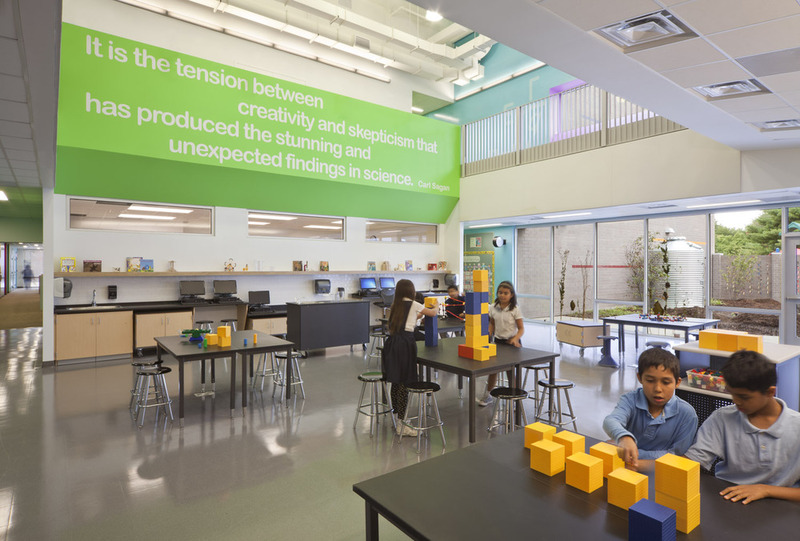 What happens when you infuse a STEM academy with creativity and transparency? "I don't know if my children will ever end up scientists or biologists, but having the great foundation they are receiving here is critical in the times we are living."